Our office is located in RecFit St. J at 49 Perkins Street. 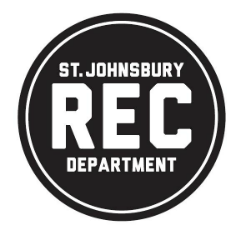 St. Johnsbury Academy manages the recreation department under a contract with the municipality. This unique relationship began in the fall of 2010. The Recreation Department is staffed by one full-time director and several paid program staff such as camp counselors and referees. An integral part of the department is the core of over 100 volunteers that pitch in each year and our community partners such as the St. Johnsbury School, Good Shepherd Catholic School, Union Baptist Church, Fairbanks Museum and Planetarium, the Athenaeum, and Catamount Arts. We also owe a debt of gratitude to the Rotary Club for helping with camp scholarships, the Kiwanis Club for providing free access to swimming for the community, and NVRH for financial, advertising, and physical support to endeavors like RecFit, the Caledonia Trail Collaborative, and the annual bike safety fair. Without the time, talent, energy, and dedication of these individuals and institutions, we could not begin to offer what we do for the community each year.